Since today is Valentine's Day, I thought I'd write a little about the 'L' word, LOVE, and what it means to me on this Hallmark Holiday. My wife and I have been married for twenty five years. At the risk of jinxing something, I have to admit it has been a relatively smooth ride. We rarely argue, and when we do, we usually make up within 24 hours. I know there are many who say that not arguing can be unhealthy too. But Donna and I have always been non-argumentative/non-confrontational people. While we can agree that we both tend to stuff things, I think a better way to say that is we are forgiving people. We pick our battles, but more than anything, we both realize that the little stuff is really little. We don't let it add up to big stuff. This past week I was at a work conference in Elkhart Lake and Donna tagged along. She took advantage of being away from home and work and looked at it as a chance to read, watch a movie or two and get some work stuff done without interruption. This day also makes me think back to the loves of the past, the ones that for one reason or another didn't work out. I think God puts these people in our lives as stepping stones for learning how to love. We go in with our selfishness, our jealousy, and our desires to change, and almost always come away wounded but wiser. These lost loves teach us more about what we're doing wrong than we could ever learn by being alone. And while I don't know what happened to all of them, most of the ones I can remember have been in long marriages themselves, which is fantastic. In the case of our breakups, it was a win-win. One thing Donna and I have come to terms with ever since we were married is that we don't need a card, flowers or candy on February 14th. 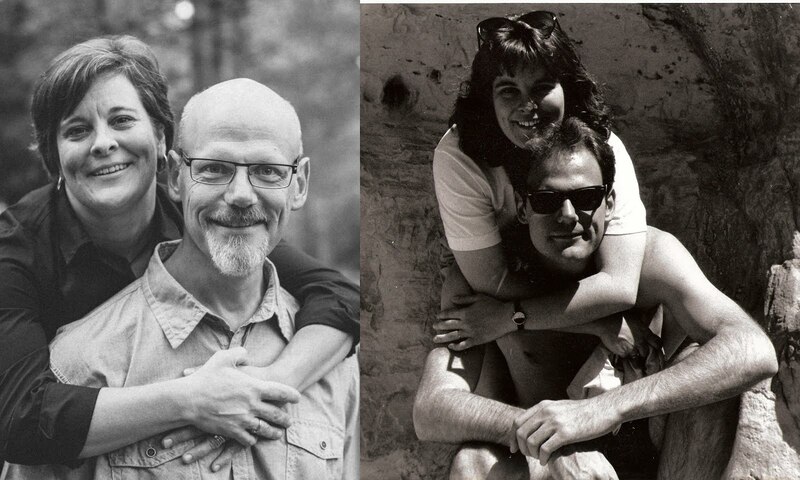 We've both done nice things a handful of times over the 25 years on Valentine's Day, but we know that nothing means more to the other than acts of kindness done the other 364 days a year. Why would we need a card with someone else's kitschy phrase on it to tell each other what we already know? When love is at the core as much as it is between the two of us, we both know that candy doesn't make it any better. As she said on Facebook, around here, everyday is Valentine's Day. I like that analogy. I enjoyed your sensible and loving comments on Valentine's Day, hearing about the day at Elkhart Lake, your take on the adjustments without kids--working with more time alone together, how "I love you" happens everyday not just with cards and candy on February 24. I like your take on commitment, on the joy of being friends, and how all the breakup were stepping stones, teaching us for the one we would spend our life with.